Machines For Freedom is the leader in weightless women's cycling apparel designed for sun protection. The Summerweight Long Sleeve cycling jersey provides weightless sun protection in UPF 50 to block the sun's harmful rays. It feels barely there but doesn't skimp on technical features like three full-sized pockets and added vents to aid in moisture-wicking. 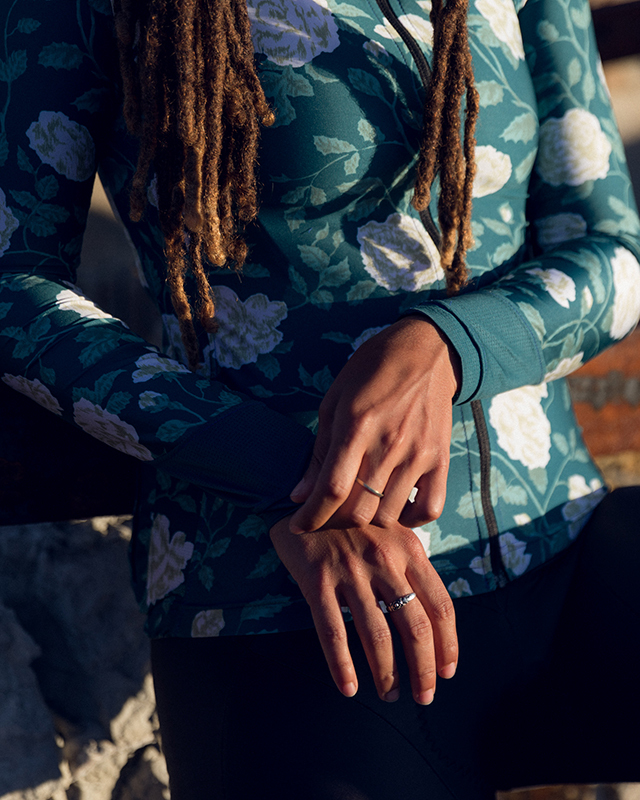 Designed in Los Angeles, this lightweight long sleeve jersey is made for hot weather. Sun sleeves provide weightless sun protection in UPF 50 that lasts all day. Plus, they're super soft so you'll actually want to wear them. Protect your skin on long rides with UPF 50+. Our innovative sun protection cycling kit provides lightweight protection that doesn't get too hot. 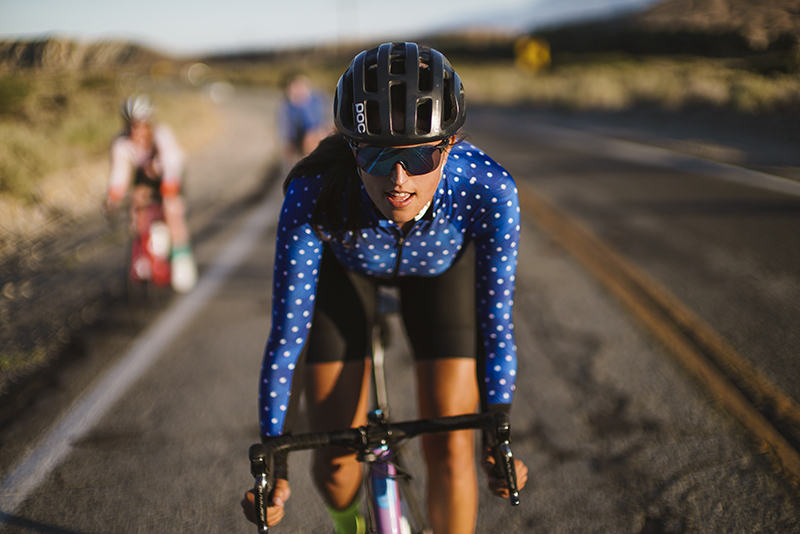 Women's cycling kits for sun protection. Protect your skin and stay cool with UPF 50+. WHAT'S THE DEAL WITH UPF WOMEN'S CYCLING APPAREL? It's basically our favorite thing ever. The Machines For Freedom Summerweight fabric is pretty much lifechanging. It's incredibly lightweight and lets the breeze pass right through, while maintaining a strong sun protection factor of UPF 50. Because this sun protection comes from the weave of the fabric and not a chemical coating, it will never deteriorate with time, moisture, or washings. We put ours to the test one weekend riding in Palm Springs, CA where it often hits 100 Degrees before 8 am and what we found? We were just as comfortable in a lightweight long sleeve jersey as we were in a traditional short sleeve cycling top. The only difference is we didn't have to lather on any goopy sunscreen halfway through our ride! The original lightweight long sleeve jersey for sun protection. Shot in Palm Springs, CA, where it hits 100 degrees before 8 am.